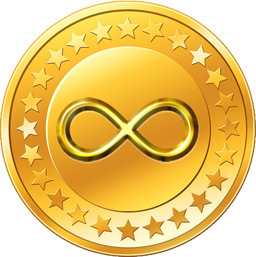 Infinitecoin (IFC) has a very big coin count per block – initially 524,288 (2^19) coins per block! Infinitecoin is Litecoin-based, so is using scrypt proof-of-work. Actual number of coins generated per block: 8,192 IFC. Difficulty retargets every hour, with accelerated retargets at the beginning.